Basic Grey goes Digi! + a Giveaway!! BasicGrey, one of the most recognized manufacturers in scrabooking, has developed some of their earlier collections into digital elements for the techno scrappers out there. For each collection available, there are all the basic elements you would use (buttons, trims, brushes/stamps, alphabets...) as well as card templates, quick pages, mini book templates, blog banners and backgrounds, and even wallpapers for your phone or pc. And for those of us (myself included) who are not-so-savvy with Photoshop, BasicGrey has video tutorials to teach you how to use all the different templates and quick pages, and even how to change the papers/elements to suit you. You can find those videos here, at BGTV. 1. The BGTV videos were a HUGE help. I am not very familiar with Photoshop, but after watching the videos, I feel like a pro! 2. 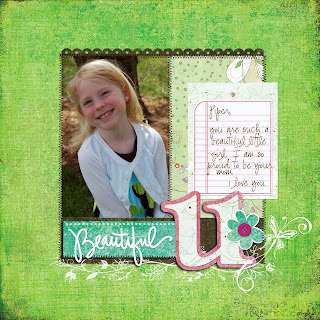 There is a great selection of papers, brushes, textures, and embellishments. I believe they included everything you would need. 3. The templates and quick pages are GREAT for newbies to the digi world. And there are new ones added to the site often, so the selection is getting better and better. I have to say that the only thing I disliked is that there weren't any of my favorite collections available for download. Such as Offbeat and Urban Prairie, or even some of the seasonal collections... maybe BasicGrey will be releasing them in the future? I hope so. This layout was made using one of BasicGrey's Quick pages. And this layout, I made from scratch. I think that BasicGrey has nailed it on the head! They have great product, easy to use templates and quick pages and SUPER helpful videos to show you how to use them. I just hope that they release some "newer" collections soon. What do you think? So, tell me... Are you a digi scrapper who has already used the BasicGrey products?? Do you love them? What would you like to see in the future? OR are you a paper scrapper interested in trying these out?? Let us know! Leave a comment by midnight EST on Tuesday and be entered to win a one time use $25 GC to BasicGrey.com!! WOOT WOOT! That is really cool that Basic Grey is getting into the digital market! I am a paper crafter and have not tried digital scrapping, other than my occasional use of printed text for my cards and/or layouts. But since BG is one of my favorite manufacturers, I might actually give their stuff a try. I love Basic Grey, but haven't done much digital. It sounds like they've put together enough that jumping into digital would be fun and easy, so maybe BG digital might be the push I need? I don't have photoshop, so I haven't done digi, but I would love to learn. I am right now primarily a digi scrapper even though I long to be able to get out my paper supplies and scrap. (Right now they are packed in case we end up moving - 15 months of unemployment and living in the middle of nowhere pretty much prelude that we are moving somewhere!) So yes I think it's cool but I hope they offer lines in both digi and scrap so that everyone can scrap with the great products! Right now I don't have the greatest printer so if I wanted to print something out to paper scrap with it wouldn't work very well. I'd rather just buy the paper product. I'm more of a traditional paper crafter, but I'm very interested in trying out some of the digi stuff. It would make for fun online projects to send to friends and family. i am a hands on paper scrapper but would love to try out some digi elements on my pages. I love BG, and I love that they expanding into digital. But I think the navigation of their website needs improvement. It frustrates me sometimes. I really havent played around much with the digital things but love working on the computer. This sounds fun and interesting. I am a paper scrapper....but I would love to have a chance to try some digi out:) THANKS for the review! Beautiful projects! I was digi, but fell back in love with paper... BG being one of the papers I fell back in love with... so I'd love to go back to digi with this great company! I've never used BG's digi stuff before. It looks cool! Basic Grey has always been one of my favorite paper lines so most of my scrapbooking is completed with paper. I receive their weekly update on digital stuff and I have dabbled a little with digital so BG would be one of my choices to start with. I love the house layout!!! I'm a paper scrapper trying to find the time and courage to try digi! This looks like just the encouragement I need! i'm not REMOTELY surprised that BG have done this - they love to take care of EVERYBODY, and they offer all the best solutions (now if they'd just do fabric flowers, i'd be the HAPPIEST camper!)... i'm a hands-on kinda gal and love the tangible art aspect, so i don't intend to try the digi-scrapping, but i think some of the elements are awesome, like being able to print your own papers and create your own paper collage as a base. BG, however, remain my absolute fave when it comes to all things paper and yum! oh my gosh how cool!! I am a seasoned digi scrapper who also has a paper addiction.....lol. I love both mediums for different reasons and I am THRILLED to see BG has went digi!! Hopefully some of the other lines will soon follow suit....I know I'll buy from them cuz I loveeeeee thier paper product! Haven't had a chance to try digi yet! Sounds interesting! I have dabbled a little in digi and this review has made me want to try it even more. I love the tutorials since I really don't know what I'm doing yet. Your projects are beautiful! TFS! I'm not a huge digi person (I've done it but I don't love it) but I adore Basic Grey, so I might do more digi if I had their digital papers. I've created a couple of photobooks, but that's about the extent of my digi "scrapbooking". Thanks for the chance to win! OMG! DIGI Basic Grey? I'm in Heaven! I have not touched Digi in a while so this is REAL tempting! I'm excited! Beautiful work. I'm a traditional paper scrapper, so I would definitely try digi if I can get my hands on some of these from Basic Grey, especially since they have video!! My fave company of all times! Wow! love your layouts! 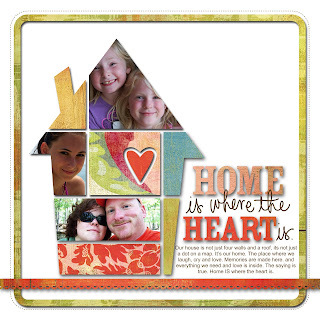 i am a trad scrapper first and foremost before i delved into digital and hybrid scrapbooking. it would be so much fun if i win!!!! i LOVE Basic Grey, either the real papers of digital ones! I have never done digi crafting but so many of my favorite companies are going digi that it's making it really hard not to get into it. I really don't need another addiction. LOL! Your projects look great and thanks for the chance to win. I love Basic Grey paper but I am not a digital scrapbooker. God bless! I am a paper scrapper that would like to try out the digital side of memory keeping. I love basic grey, this may be the time for me to try it out! I am fairly new to digi scrapping and really have only done mostly the SU program. BUT I love BG paper so this is very good news... I betcha it wouldn't take me long to spend $25! I'm not really into digi scrapbooking, but I actually really like that Basic Grey is doing it for their older collections, because that way if you start digging through old paper you have and start making something from a collection that is a few years old and find you don't have everything you need, you could get into hybrid scrapbooking and be able to complete your project with the same collection. 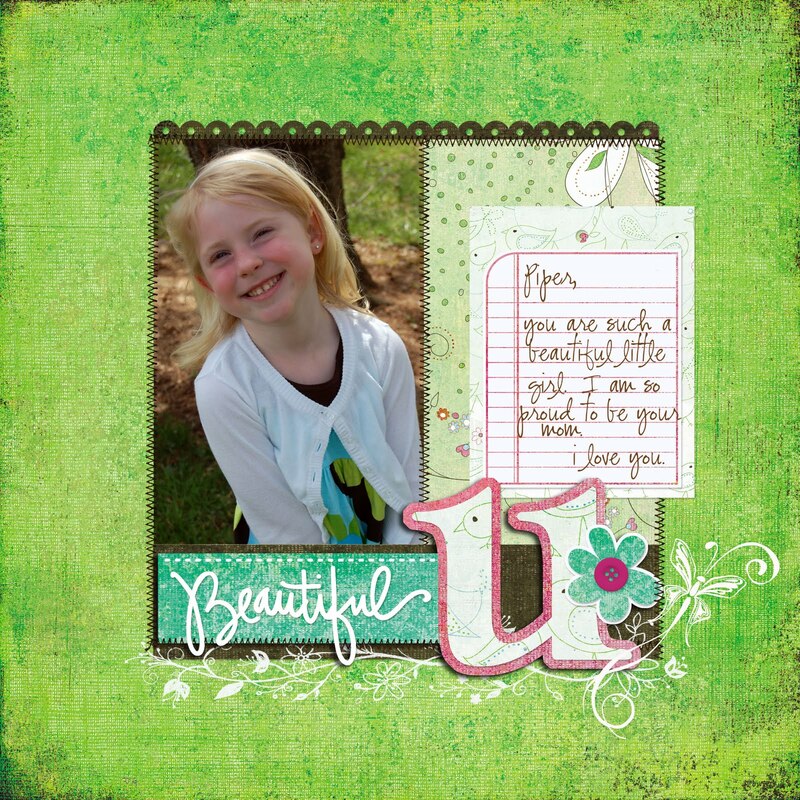 Hybrid scrapbooking is the most digital I could ever see myself going. I'm one of those paper scrappers who would need those BGTV videos to figure out Photoshop! Looking at your examples, I'd certainly like to try the BG digi out. The page made from the template and the Quickpage look great! Hopefully soon they'll make all their collections digi too - I think they'd get a line of people wanting to use their collections over and over. I LOVE BG!!! Hvae never tried digi stuff, but this would be a great time to try! I'm a BG lover, too and really glad they're jumping into the digi arena. I paper scrapped for eons and got into digi scrapping last year and never looked back. I love it! I am a paper girl all the way but lately the digi world has been calling my name. I have been scared to try it out. I really like that BG is putting their products in digitial form. That is the one thing that has always kept me away from digi, I want the look of the lines I love. I agree I'd want access to all of their collections, not sure why they wouldn't want to offer them. I also saw that they recently added templates which are so cool, luv them! I havent yet tried digital, but think I would like to try! I am gonna have a little look see at the videos thanks for the heads up on those. I am a paper scrapbooker but am starting to feel tempted by the digital side. I haven't done much with digi products but this seems like a great place to start. Up until now, I have been a 100% paper scrapper and my daughter is 100% digi. I would love to win this prize to share some Basic Grey with my daughter. I am totally a paper crafter, but your projects have inspired me to check it out. I really love the 3rd layout you created! Thanks for the chance. wow, those layouts are so pretty! i've done some digi layouts. I like to feel the paper in my hands so I don't think I'll ever leave the traditional camp...but I definitely love to add digi accents and fun to my layouts. With Basic Grey now adding to the digi world I think I might have to peruse their stuff...yum! I love Basic Grey...I buy all the lines (even the ones that "aren't my style"...I still get the 6x6 pads)... I have "dipped" into digi, but the water was scary.. so it sounds like BG has the bases covered here...I'd love to give it a try again! I am new to digital, but love Basic Grey. I also wish they would release other collections that I love. I'm doing more and more hybrid pages, using parts of digital templates and then adding them to paper. I'd definitely check these out. I was unaware that they had gone digital. I'm not digi savvy but i do love BG so i'd still love to win! I really love that! It'd almost make me want to go digital! 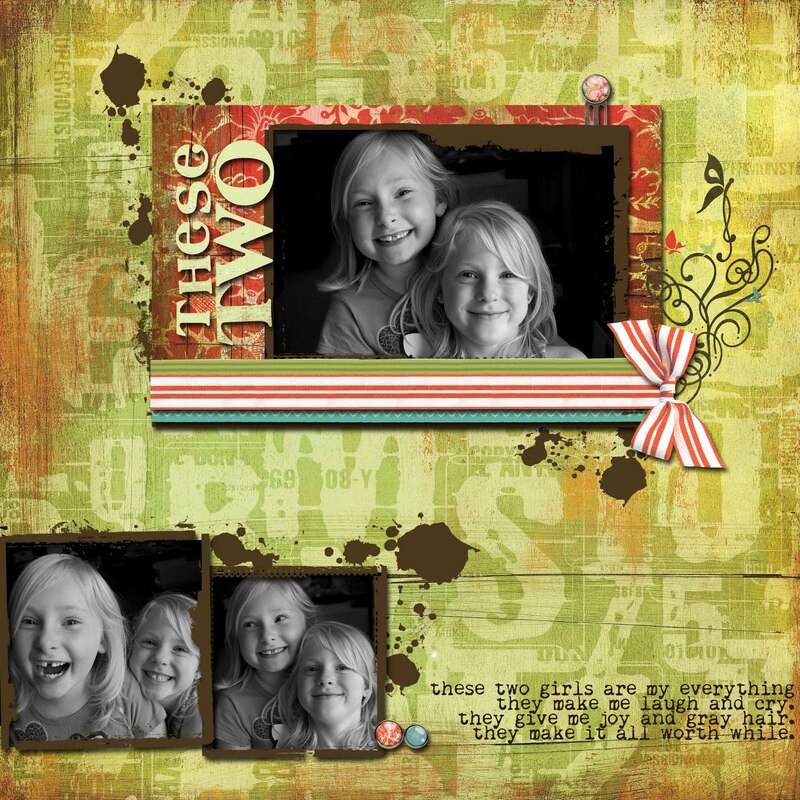 I'm a big fan of BG, and although I'm not much of a digi scrapper I would love to play with some hybrid scrapbooking! I had no idea that BG was getting into the digi market. I have not tried digi yet but have thinking of giving it a whirl. Cute stuff!